Home > Blog > National Disability Employment Awareness Month: Introducing Zach! National Disability Employment Awareness Month: Introducing Zach! 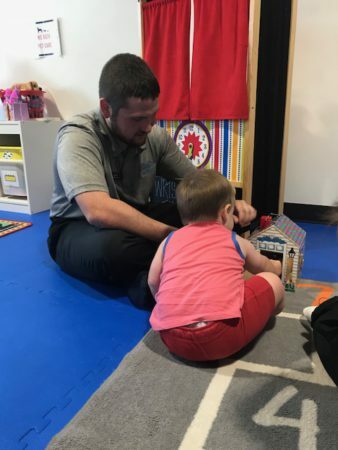 The next person we’d like to introduce in honor of National Disability Employment Awareness Month, is Zach from We Rock the Spectrum – Columbus! Zach is a volunteer through the Olentangy School District ACT (Academy for Community Transition) Program. He has been helping out at WRTS – Columbus since late August. Zach volunteers on Monday mornings from 9:00am – 11:00am. During this time, We Rock the Spectrum – Columbus has their “Messy Monday Mornings”. Zach normally helps set up the activity, shows the children how to complete it, and interacts with them as well! He is also on the gym floor where he interacts with parents and children as they enjoy the gym. 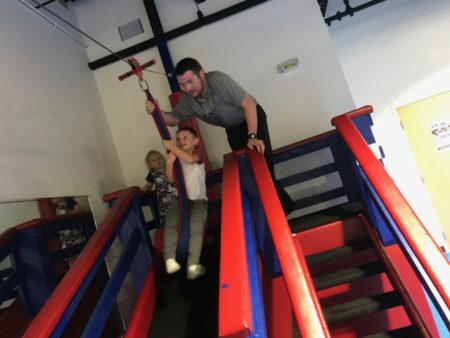 He monitors children play safely on the zip-line, swings, and other sensory-safe equipment at the gym. Zach also helps re-stock the Rock Shop when the shelves are running low. In the short time that Zach has been volunteering at the gym, he has become a lot more confident. He has learned the procedures of the gym as well as the safety rules and is a good enforcer and model for the kids in the gym. 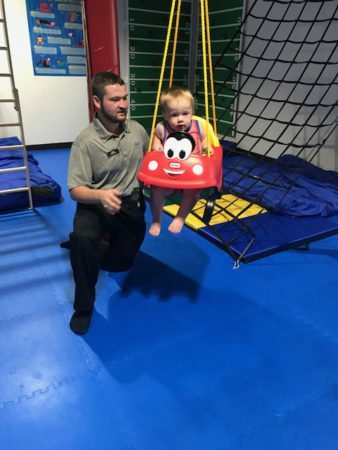 “One of my goals while opening this gym was to be a place that schools could use as a job coach site, as well as hire someone with special abilities to work at the gym!” – Lyndsay Vidra, Owner of We Rock the Spectrum – Columbus. This entry was posted in Autism Resources, Events on October 12, 2018 by David TEST! Ephraim.